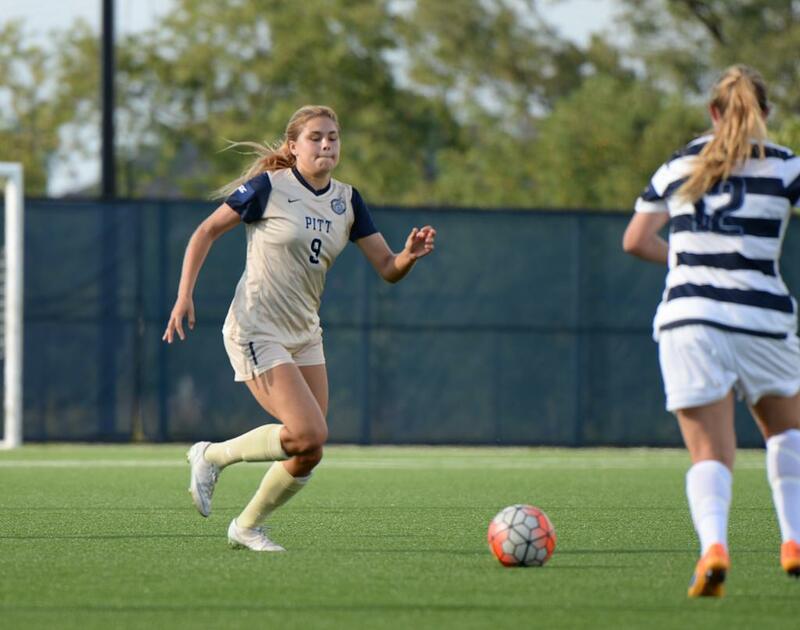 The Pitt women’s soccer team has learned over the past two matches that every opponent –– big or small –– is a serious threat. Following a 2-0 loss to Duquesne in the home opener, the Panthers (0-2-1) welcomed Colorado College (2-1) to Ambrose Urbanic Field Thursday night. Despite participating as a Division III school in most other sports besides women’s soccer, the Tigers proved themselves as legitimate Division I challengers, defeating Pitt on its home field, 1-0. Both teams started the game slowly, creating very few chances. Changes of possession in the midfield dominated the early portion of play. The Panthers earned a corner kick in the 14th minute and a delivered a few promising through balls, but were unable to finish their scoring chances. Colorado College made them pay in the 28th minute of the game. After a Panthers possession in the offensive zone, the Tigers countered and forward Clara Richter beat Pitt senior goalkeeper Taylor Francis to the upper left portion of the net to take a 1-0 lead. Pitt responded by forcing a few corner kicks, but nothing materialized into any goals. In the 40th minute, Francis kept the Panthers in the game by making a diving save to her right to prevent a backbreaking second goal from the Tigers. Pitt ended the first half with only one shot on goal and one goal down on the scoreboard. The second half continued to be an offensive struggle for Pitt. Colorado College began to dominate possession about 10 minute into the half, but with a few strong offensive possessions of their own, the Panthers took back some of the momentum and put pressure on the Tigers. This pressure didn’t lead to any goals, and Colorado College kept the Panthers on their heels via the counter attack. The second half was a back-and-forth affair, but Pitt continued to be stifled. The Panthers were outshot 14-8 while suffering their second straight defeat, 1-0. Pitt head coach Greg Miller wasn’t pleased with the team’s effort and approach to the game. Additionally, he said, many young players are still adapting to new roles on the team. For the team to be successful, the players will need to step up and start producing in their new roles. The Panthers’ next chance to earn their first win of the season comes vs. Xavier at Ambrose Urbanic Field Sunday, Aug. 28 at 1 p.m., in the last game of their three-game homestand.